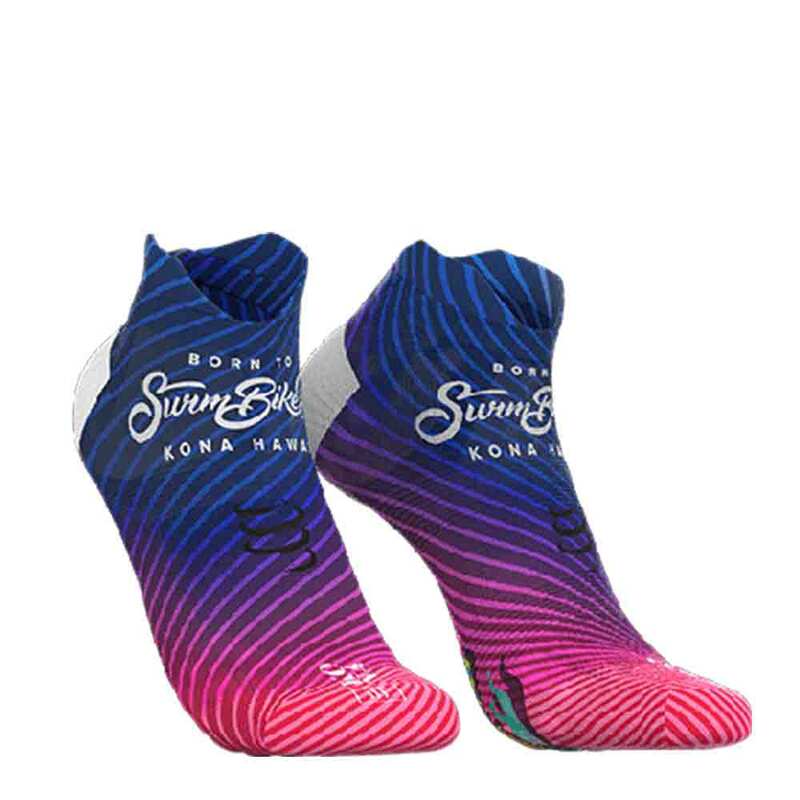 These ultralight and ultra-low cut Pro Racing Socks, designed in special edition for the IRONMAN® 2018 World Championships, evacuate perspiration perfectly so your feet stay ultra-fresh. The 3D.Dots apply acupressure on specific areas of your feet, thus stimulating blood circulation. The ergonomic toe box guarantees no creasing, no foot smothering nor any compression. Your toes are free! - Seamless, the socks avoid all kind of irritation or pressure on the ankle/calf area. The 3D.Dots protect the Achilles tendon and the malleolus area. Shocks are thus easily absorbed. - The 3D.Dots do not retain water and wick moisture away. Feet remain dry. - The ergonomic toe box guarantees no creasing, no foot smothering nor any compression. Your toes are free! - The elastic band around the arch support brings tonicity and activates blood flow. - These run low socks prevent blisters so you stay focus on your stride. - Moreover, your strides are well-balanced as your socks stay in place.